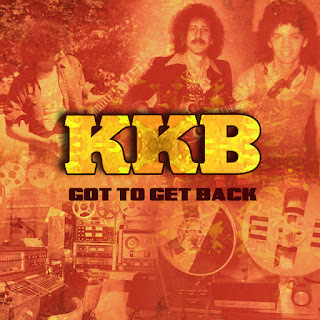 KKB, Bruce Kulick's first band created back in 1974 with his local friends, singer/bassist Mike Katz and drummer Guy Bois, are releasing a brand new single and CD called “Got To Get Back.” The new single leads off the CD, which continues with 6 more songs they recorded in 1974. The vintage tracks were revisited for 2015, and the original tapes were totally remixed and remastered. 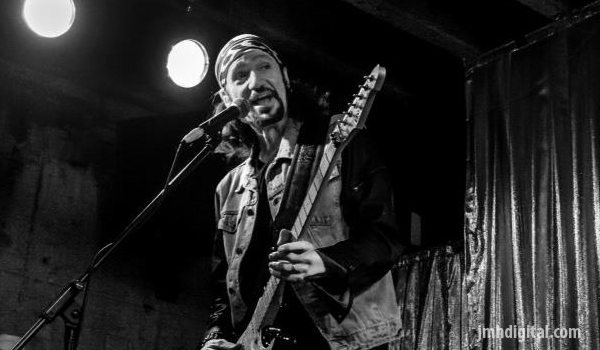 Kulick was fortunate growing up in Jackson Heights, NY to find other talented local musicians who shared the same passion for the British Invasion of rock. They lived within blocks of each other, with drummer Guy's basement being the breeding ground for the musical concoction they were creating. The young band rehearsed for months before entering a studio in NYC capturing music that was urgent, intense and compelling. Sadly, with no clear direction for the group to follow the band never played together live, and ultimately went their separate ways. Bruce continued on in the music world, playing guitar with Michael Bolton, Meatloaf, KISS, and Grand Funk Railroad. The music KKB recorded in 1974, however, sat idle on a tape in Kulick's closet for many years. In 2008, Bruce bought a TEAC tape deck at a local garage sale and decided to listen to the KKB recording again. He loved it, and shared it with his friends, who all agreed: "You must release this music for people to hear." The vintage tape was transferred and, after some cleaning up of the tracks, KKB 1974 was released in 2008. The limited-run CD sold out quickly. An unexpected new chapter for KKB happened in 2013, when Mike found the original session tapes. By using the actual tracks recorded, Kulick had the opportunity to remix, remaster and get creative with this music once again. But the discovery sparked something substantially more interesting than simply polishing up “old” music—the desire for Bruce and Mike to create a new song for KKB, 40 years after its genesis. As a result of KKB’s rekindled fire, the trio wrote and recorded a new song, “Got To Get Back," a total throwback to their vintage sound, style and vibe. Each band member recorded their parts in a local studio—Guy in Paris, Mike in New York City, and Bruce in LA. Further adding to KKB’s renaissance, a string quartet, scored by Bruce’s longtime collaborator Jeremy Rubolino, was added to the ballad "Someday," giving the song a shine that couldn't have been imagined in 1974. "This music represents a time in my career that I feel helped define the potential of my guitar playing," Kulick says. "It gives me chills to hear it. The interplay with Mike on bass and Guy on drums was expertly executed, filled with passion that defined our age. To think that so long ago I was involved in something this powerful that sat in my closet unheard for nearly 35 years made me furious. My intense desire to share this music that is relevant now, more than ever, is a huge accomplishment. Play it loud and imagine three young men pouring their hearts out making music, never concerned about anything but the music. That was the intention. It was pure, it was real. And now it's available for all to enjoy."